With the increasing demand for aggregate, a piece of equipment can’t satisfy the requirement of market any more. A production line with high capacity is widely used in sand making industry, which make the efficiency improved and profits increased. It is important to select stable equipment with high crushing ratio for coarse crushing because it’s the first process in the crushing line. There are many kind of plants for coarse crushing, but which one is the most popular in the crushing industry? You may hear of Jaw Crusher made by Liming Heavy Industry, which crushes stones by squashing with jaw plates. Jaw Crusher is ideal equipment as primary and secondary crusher for materials with compression strength less than 320Mpa. This series with different kinds of models often feed materials whose dimensions range from 125mm to 750mm, so it can be widely used in mining machinery, metallurgy, construction, highway, railway, water conservancy and chemical industry, etc. 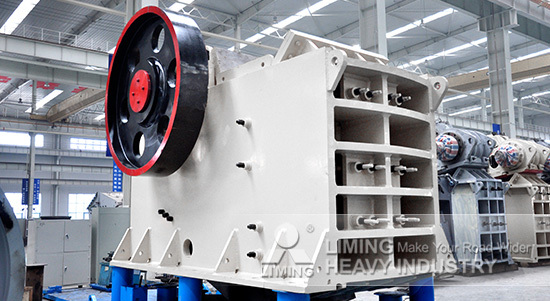 Liming Heavy Industry, a leading enterprise in mining machinery, produce PE series Jaw Crushers with full range of models used in the global stone crushing line. PE series Jaw Crusher is the first choice for you when you crush materials hard and corrosive. For more details about this equipment, just contact us right now.